Aquaculture or fish farming is currently receiving considerable attention in tropical and sub-tropical countries. In Kenya, for example, wild fish stocks in Lake Victoria have decreased as a result of pollution and eutrophication and tilapia – the most popular freshwater fish in Kenya – is becoming very scarce. 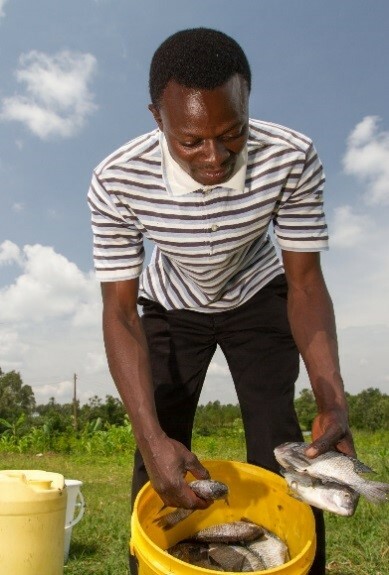 This has led Farm Africa to promote fish production in fresh water ponds and it has set up aqua-shops to make high quality equipment, feed and training available to potential small-scale fish farmers. It is a strategy it believes will increase employment opportunities, boost incomes and provide local communities with an affordable source of protein. 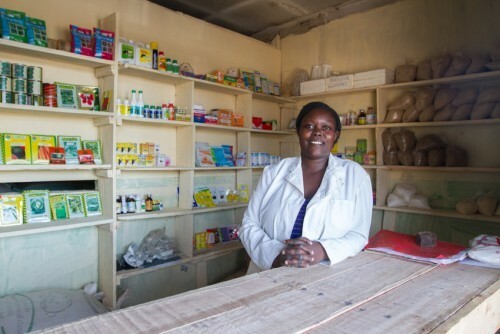 Farm Africa is currently working is with 3,500 small-scale farmers in Western Kenya. And giving particular attention to developing the capacity of young women so they can take part in sustainably-orientated fish value chain ventures. Farm Africa is receiving funding for these activities from the Dutch Embassy in Nairobi. Wageningen University and Research (WUR) Aquaculture and Fisheries Group and its Centre for Development Innovation (CDI) is providing information and advice to support Farm Africa’s efforts to develop fresh water fish farming and at the same time mitigate potentially negative environmental effects. Seventy-six percent of Kenya’s fresh water fish comes from Lake Victoria. Ir Paul van Zwieten, now assistant professor in WUR Department of Aquaculture and Fisheries is well aware of the economic and food security issues raised by diminishing fish stocks. When he became a WUR staff member he brought with him 25 years of experience in fisheries research and fisheries information management in tropical fresh and marine waters. After completing his MSc in WUR Paul van Zwieten spent a year as a fisheries research advisor for FAO in Papua New Guinea before working for five years in a similar capacity for SNV in the Lake Mweru region of Zambia. Ir Paul van Zwieten has considerable experience in small-scale aquaculture in tropical and sub-tropical areas and is actively working with WUR students in this field.His work centred on stock assessments and fisheries in this highly productive lake, productive because of its fluctuating water levels but also on the problems associated with the marketing of freshly caught fish. One of the ways information was gathered was to give local fishermen logbooks so they could keep a record of their practices and catch. To support the efforts of small-scale fishers SNV subsidized a fish freezing factory to make it possible to transport fish to market. Later Paul van Zwieten was also involved in research to explain the success of the Nile perch invasion into Lake Victoria and its effects on other fish species. He was concerned with assessing the potentially negative impact of increased commercial fish exports and the effect that specific types of agricultural practices were having on the water quality and ecology of the lake. At the same time Paul van Zwieten was also involved in SNV’s efforts to explain the success of the Nile perch invasion into Lake Victoria and its effects on other fish species. Also he was concerned with assessing the potentially negative impact of encouraging increased commercial fish exports and the effect that specific types of agricultural practices were having on the water quality and ecology of the lake. One of the ways information was gathered was to give local fishermen logbooks so they could keep a record of their practices and catch. 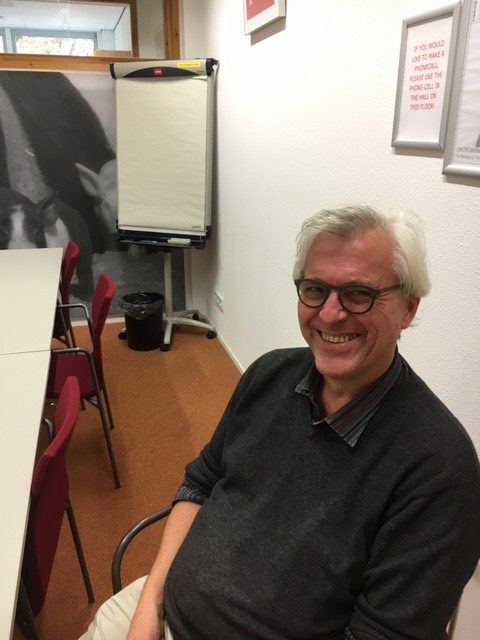 In the period 1995-2003, Paul van Zwieten carried out a series of consultancies for NEDWORK (Network in Development Cooperation) in Southern Africa and also in Malaysia, the coastal areas of North and South Vietnam and in East-Kalimantan, a province of Indonesia. Here he was concerned with the social and ecological implications of shrimp culture in mangrove ecosystems. Later he got involved in the assessment of the impact of small and medium scale tuna fisheries on tuna stocks in Indonesia. Agboola Jeleel is a Research Assistant at Aquaculture and Fisheries Group of WUR. His research focuses on issues that also concern Paul van Zwieten. 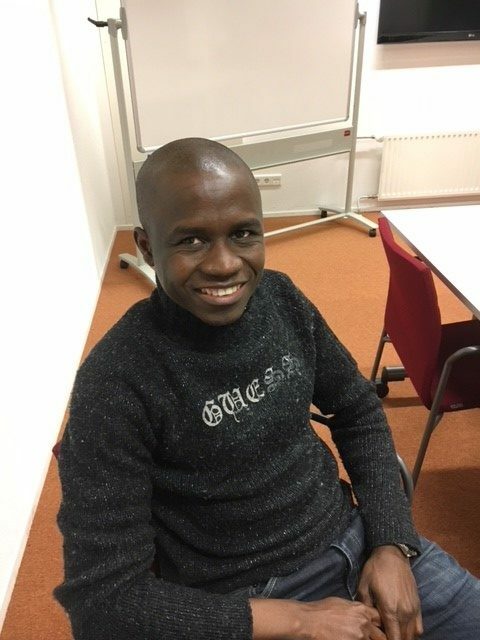 After completing his BSc in animal science at Ladoke Akintola University of Technology (LAUTECH), Ogbomoso, Nigeria – with a specific emphasis on food and nutrition –he gained an Erasmus scholarship which he used to study for a double Master’s degree in Sustainable Animal Nutrition and Feeding at the Aarhus University (Denmark) and Wageningen University (The Netherlands).He decided he would focus on the nutritional value of fish. He recalls that that his own father had a subsistence fish pond and that his family could feed their African catfish on kitchen waste and were not dependent on commercial foodstuff. During his research he realised that in many developing countries stocks of wild fish were in rapid decline and that overfishing was a major problem. The more he became involved in aquaculture the more he realised its importance and also the need to ensure that small-scale fish farmers had sufficient access to cheap, sustainable and good quality feeds for their fish. He is now also working on the possibility of replacing the animal feed ingredients, particularly fish meal and fish oil with conventional and non-conventional plant resources. This is to reduce the concern about the unsustainable and continuous use of fishmeal in fish diets. Agboola Jeleel is aware that his home country Nigeria is currently underutilising its fish farming potential. Amongst the problems facing the sector is a lack of baby fish – now farmers are dependent on imports. There is a need to have robust breeding plans to ensure continuous improvement of breeds best suited to the local environment. Also insufficient fish feed is being produced within the country and Nigeria still depends on importing from foreign countries to fulfil its fish feed requirement. This entry was posted in Blog and tagged aquaculture,food security,nutrition,small-scale farming. We are a not for profit making and community based organization established by the Congregation of Missionaries of Divine Mercy in Nigeria to empower the widows, orphans and the poorest youths. We had acquire ten hectares of land for fish farming and livestock production. Kindly, send us guidelines to apply for funds.